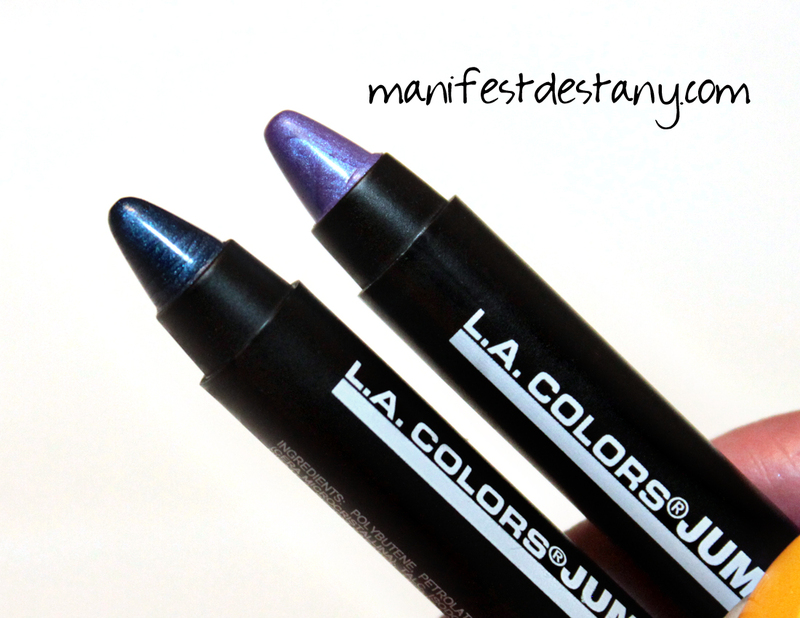 To say I'm in love with the LA Color Jumbo Eye Pencils is an understatement. I own several and absolutely adore them - and I tell everyone. Each time I'm in Dollar General or Family Dollar I stand at the display just starting, decided which I need right there and which can wait. See, I don't want to buy them all at once...there's no fun in that! 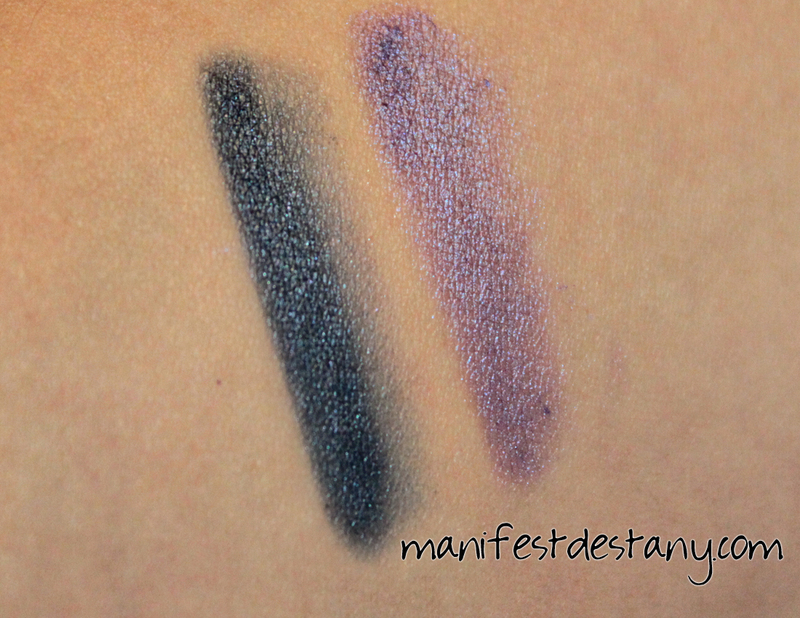 The colors I have for you today are a deep midnight blue called Waves and a bright blurple called Bikini Time. Both are deeply pigmented. I usually use pencils as my eyeshadow base for my eyes, and then dust on pigments or potted shadows to complete the look. So it's very important to me to find smooth, long-lasting eye pencils. I use eye primer with all looks, and these eye pencils from LA Colors last all day for me as my "underwear" on eye looks. They stay in place without creasing flaking or slipping, and I know that I can trust them to do their job! Do you guys have any of these? I have more than a few! These can be found at TONS of retailers!